What is the best hairbrush? 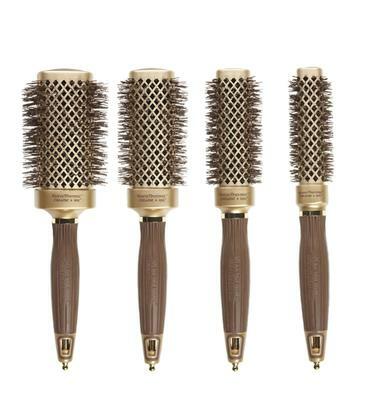 It can be overwhelming looking for the best hair brush for your hair. There are tons to choose from and often times clients are not sure what is the best for their hair. Clients wonder if it really even matters... It does! It also depends on what your #hairgoals are. If you're looking for smooth, round brushed hair or just a basic brush for your hair and scalp. This round brush is known as the "GENTLE GIANT". Made with nanothermic ceramic technology to eliminate frizz and smooth the hair, while giving the hair BODY and HOLD. It comes in a variety of sizes. Ask your stylists for the recommended size for your haircut and hair style. The wet brush is the most popular brush on the market and once you use it you will know for yourself. We love this quote from WETBRUSH.COM "This brush just glides through my wet mop hair like a hot knife through butter. Barely a strand of hair clinging to the bristles which is the true test of breakage." 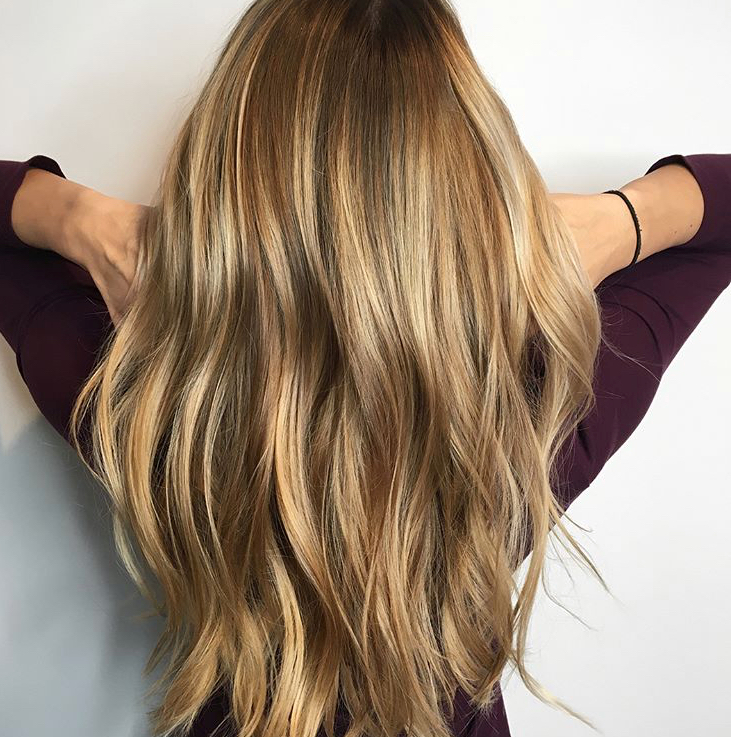 Balayage: (BAH-LEE-YAGE) A French word that means 'to sweep' or 'to paint. A natural, beautifully natural way of highlighting hair that is lower maintence. The regrowth is a gradual subtle root compared to the out-dated way of highlighting or weaving hair with foils that leaves a sharp line of hair re-growth. 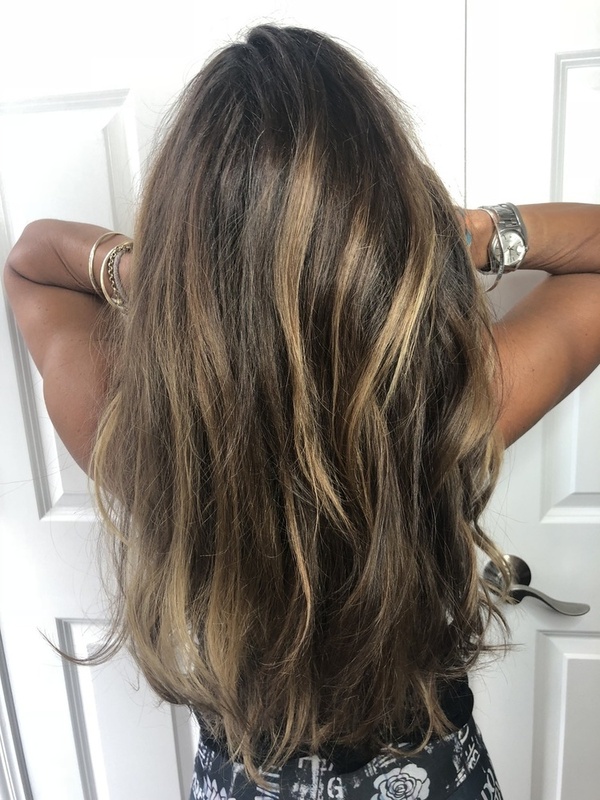 Balayage gives the hair a multi-dimensional, sun-kissed type of highlight that resembles how natural hair gets lightened by the sun. If you know of KIM KARDASHIAN, then you know she is a huge advocate for OLAPLEX. Especially when she went from BRUNETTE to PLATINUM basically overnight- She posted she could have never done it without Olaplex. 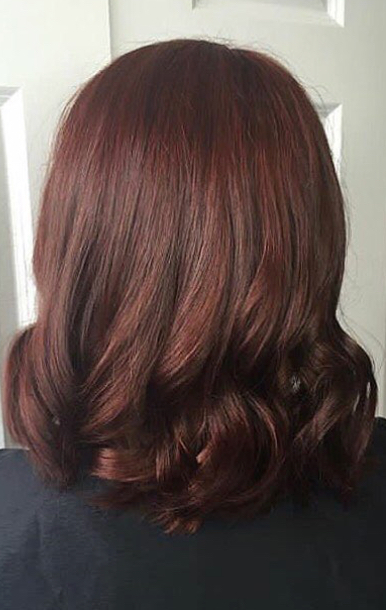 Olaplex Hair Treatment is hair TLC on an entire new level. It works on a molecular level to seek out broken bonds in the hair that are caused by chemical, thermal, and mechanical damage. You can use Olaplex to restore compromised hair, or add it to another service to provide the ultimate breakage insurance. The treatment takes 15-20 minutes in salon as a stand alone treatment, but it can also be used in junction with your hair color service. Step 1 is added to your hair color formula and your ends, then Step 2 is done at the shampoo bowl after your color service. What is left is incredibly feeling, STRONGER, hair. One comment we recieve often from our clients is that after Olaplex, they notice less breakage and less hair around their bathroom sink from random breakage/brushing after blowdrying and styling. Olaplex is a 3-step treatment. Olaplex step 1 and Step 2 are done as an in-salon treatment. Step 3 is a take home system that can be done as prescribed by your stylist to maintain IMPROVEMENT in your hair quality and texture. REPAIR your hair at home, with the Olaplex At Home Care system. Steps 3, 4 & 5. 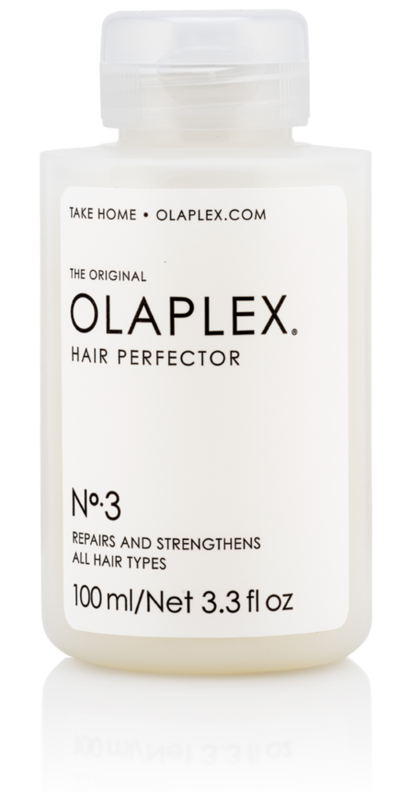 Repair, Strengthen, & Protect all types of hair with Olaplex At Home. Cinnamon & Spice Haircolor; EVERYTHING NICE. The Blunt Haircut. The Blunt BOB. Why is My HAIRCOLOR Fading??? Hair Color TIPS! Blunt Haircut: The Best Mid-Length Haircut Ever. What is the Secret to SHINY, HEALTHY, & SMOOTH HAIR?????? Dermalogica: Our Top 3 Best Selling Facial Products! What is the Best Haircut For a Round Face Shape? Does your hair need an AFTER SuMMeR PICK-ME-UP? How To Get More Volume & Body In My Hair? Tiz The Season For FRIZZ! Fight Frizz For Up To 6 MONTHS! Demi-Hair Color. What's Up With It? Hair Supplements: Do They Actually Work? Want Stronger, Shinier, Healthier Hair? What Are the Best Products for Dry Hair? How to Get The Silkiest Hair EVER! How Can I Keep My Red Hair From Fading? Red Hair Color FADES! What Hair Color is Most Flattering for Your Eye Color & Skin Tone. What Haircut Is Best For My Face Shape? How do I grow my hair long? Do you want to know the BEST way to grow your hair? Do you want LONG & HEALTHY hair? SPLIT ENDS!!!!!!!! HOW CAN I GET RID OF MY SPLIT ENDS????? What prevents split ends?? The Basic Steps of a Facial. What is included in a facial? Have you ever wanted a facial, but wasn't sure what to get? How do I get the most volume in my hair? How can I get my hair longer? How can I get my hair thicker? Questions on Hair Extensions? 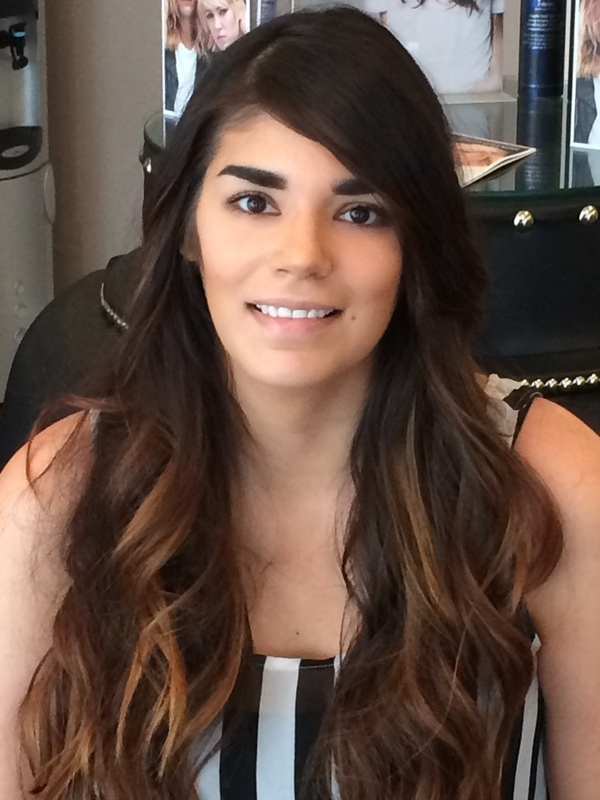 What are FUSION hair extensions? Hair Color Fading Problems. Why does my hair color fade? How to prevent hair color from fading! FADING FADING FADING!!!! Introducing: Kérastase's new Couture Styling Collection! Help! My hair won't grow! SHINE, BABY, SHINE!!! How do I get my hair to have more SHINE? My hair is DULL, how to add shine to my hair? Salon Envy Janurary/February Referral Special!!!!!!! My HAIR color FADES!!!! How can I prevent my hair color from fading? 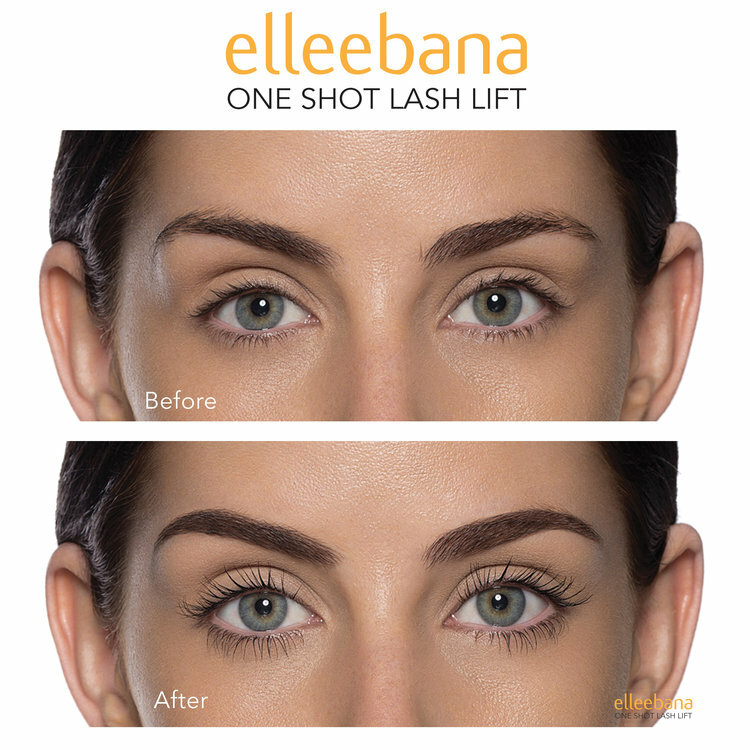 Welcome to Salon Envy's BLOG!